Steamworld developer, Image & Form, was interviewed by Youtuber “SuperMetalDave” and the Nintendo Switch was discussed as well. Earlier this month, the Scandinavian developer already shared some interesting Switch tidbits on Twitter. Judging from the Tweets, the Steamworld developer has “no concerns” when it comes to Nintendo’s upcoming platform, and stated that Nintendo surely isn’t holding back when it comes to the power of the Nintendo Switch. “Can’t comment on specs, I’m afraid. 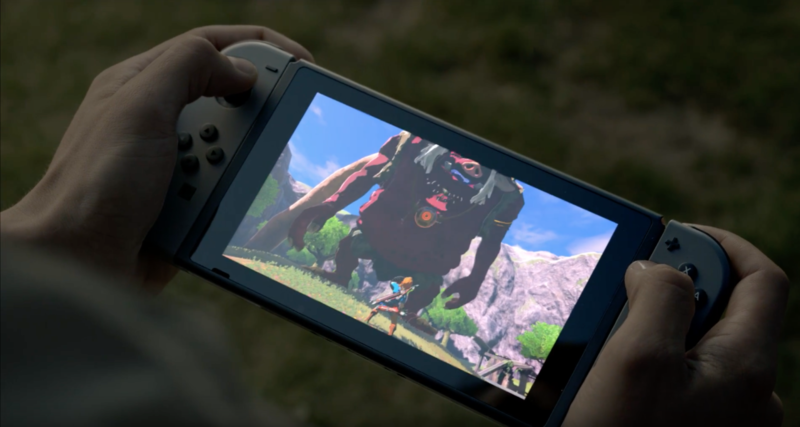 But Nintendo are definitely not skimping on power!”, the developer Tweeted when asked about performance. In a new interview with Nintendo Youtuber “SuperMetalDave”, Image & Form talked some more about the Switch’s power, non-disclosure agreement, game development and more. Check out the full interview below, the Nintendo Switch part starts around 1h30. According to Image & Form’s CEO, Brjann Sigurgeirsson, it was actually Nintendo who contacted them to ask whether they would want to develop games for the Switch, and Image & Form was given a development kit afterwards. This might be an indication that Nintendo wants to be sure that the platform has enough third-party and indie support in contrast to the Wii U. The NDA for the Switch has been very strict, and they “absolutely couldn’t talk about it”, Sigurgeirsson told SuperMetalDave. In addition, not the entire development team was allowed to work on the Nintendo Switch, and it seems there was special room for those allowed to work on it. Image & Form is actively working on some sort of project but they don’t want to talk about it yet, although Sigurgeirsson stated that they don’t like doing sequels. The Image & Form CEO also talked about the Nintendo Switch reveal trailer, and how they were worried about how Nintendo would sell the Switch’s concept. Luckily, they were relieved following the release of the trailer and Sigurgeirsson expressed to be excited that Nintendo hasn’t really mentioned anything yet. Game development for the Nintendo Switch appears to much easier than on the Wii U, and its being qualified as a “straightful” development system, and Sigurgeirsson said that the team is relieved that they can now work on a system that isn’t so weak as the Nintendo 3DS. The CEO refers to having to develop for 3DS and not being able to develop titles for HD systems and scale them down due to the 3DS’ weaker hardware. Heads up to Neogaf poster LordKano, who spotted this. The Nintendo Switch is slated for a release in March 2017.